Her story of survival will amaze you. Her voice will captivate your ears down to your heart. 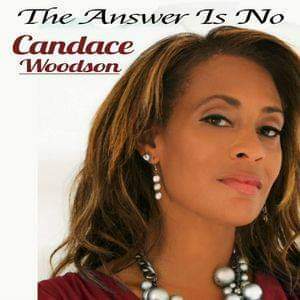 Candace Woodson answers the call for those who love soulful r&b and talented unfiltered vocals. Born in Paducah, KY, she began singing at the age of five with her older sisters in a gospel group called the Parks Sisters. Although her roots are in gospel, after high school Candace began to explore other avenues in the music industry. She is the first graduate of the Commercial Music Program at Tennessee State University in Nashville and is a professional recording artist with a background in Gospel, R&B, Jazz, and Pop. To inspire and encourage others to achieve a life of balance that fulfills dreams through the power of music. Couture Fashion Week NYC appreciates the revolution of sharing an experience with the elite audience without even mentioning it. Producer, Andres Aquino surprised the guest at the Crowne Plaza Times Square Manhattan Broadway Ballroom on Saturday, September 10, 2016, with a special guest, United Kingdom R&B star, Candace Woodson from the hit single "Free." New York City ~ Candace Woodson has undergone a whole new life beyond the bubble of a simple overarching metaphor called Breast Cancer, and she delivers her story in her YouTube literary work entitled "Free." History is always full of people who have succeeded to expand their horizons and find themselves stumped with circumstances for which they can be tragically unprepared for, but for Candace Woodson, her message is one she shares every day she awakes, "I'm a breast cancer survivor." Like a Diamond, Candace Woodson electrified the floor at the Couture Fashion Week 2017, surprising luxury redefined by Andres Aquino. What is a "black" woman doing at an all White event? God let her live to tell her story to over 1 billion viewers within 171 countries under the Zee Entertainment Television network. As the Diamond continued to shine at the Couture Fashion Week, Candace Woodson reinvented an alternative to the Catwalk stage with her achievements and sophistication of survival, "the use of self." Her message dazzled the audience from her "old-school" presence and some audience participants even sat with their eyes closed thinking of Chaka Khan. With a bubble burst of luxury VIP's in the audience Candace Woodson's will continue to wipe out billionaire's on the Zee Entertainment Television partnered with Couture Fashion Week to present the Spring/Summer 2017 Collections. Download “The Answer Is No” on iTunes.